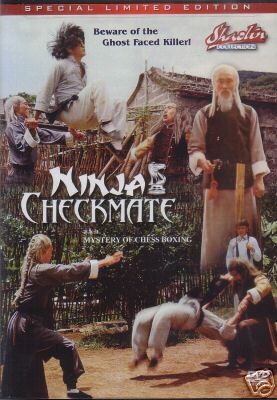 So here we have a classic film from Joseph Kuo starring Jack Long ,Mark Long and Lee Yi Min,which when originally released on New Yorks 42nd street caused near riots and went on to run for two years their . But of course there is a other reason why Lee wants to do this it is to train so he can avenge his fathers death who was killed by the GHOST FACED KILLER played here by Mark Long .Now Ghost face is a disciple of the Five Element Fist style who goes round causing death and mayhem fighting all who oppose him ,a bit like me really. 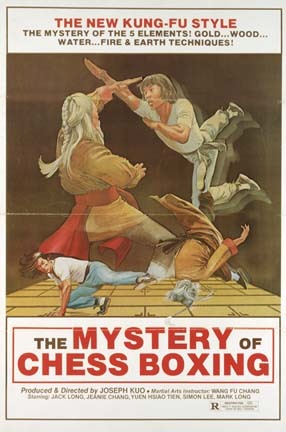 So Lee finds a friend in the kung fu schools cook .played here by the late great Simon Yuen or SAM the SEED AS YOU MIGHT KNOW HIM who teaches Lee cooking i mean he could most likely grill Ghost Face if he liked .Simon eventually sends him to train with the Chess Boxing King and we later hear of Simons death in the film,this was due down to the fact that Simon Yuen actually died about this time . 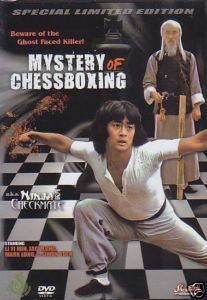 Here Chess king is played by Jack Long who has been in hiding from Ghost face and is trying to live a humble life ,he eventually agrees to train Lee as he seems so keen .But not before Ghost face intervenes and then the mayhem starts . So How does it Batter up? Well just fine i have to say ,this is Old School at it's best and and the fights are a joy and will have you reaching for the rewind button . 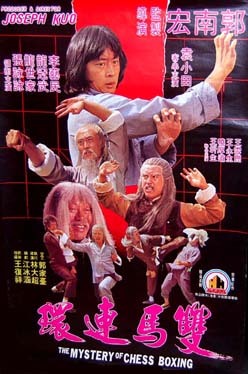 You have to remember these fights were shot long and a lot of them in one take, these were fit people and not many could do this today and on top of this Joseph Kuo shot many films like this and we will cover them all in time . Kick him in the Ghoulies ,It's the only Way to Survive.